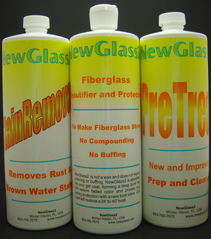 New Glass 2 is not a wax and does not require polishing or buffing. 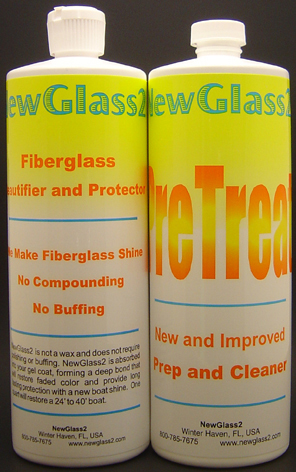 New Glass 2 makes your Yacht, Boat or Recreational Vehicle shine like new. Following an easy scrub with a mild cleaner and a thorough rinse with fresh water, New Glass 2 will be absorbed into the Fiberglass Gel Coat by simply wiping on multiple thin coats. A strong chemical bond forms that restores faded colors and provides long lasting protection with a new shine. Applicators for New Glass 2. Pack of two. © New Glass 2, All Rights Reserved Worldwide.